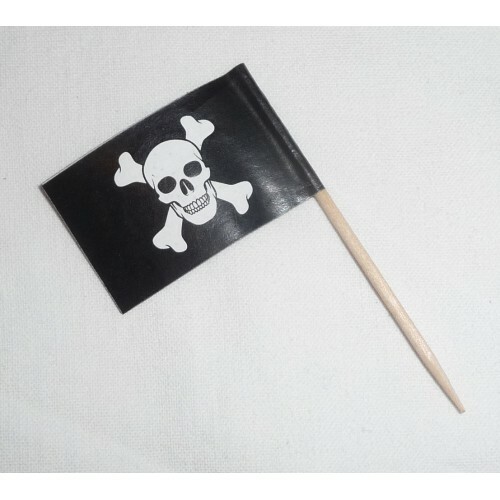 The Pirate Flag Picks have a double sided flag. One side is a skull and crossbones and the other side says ARGH! Both sides have a black background. Each flag is attached to a wooden toothpick. 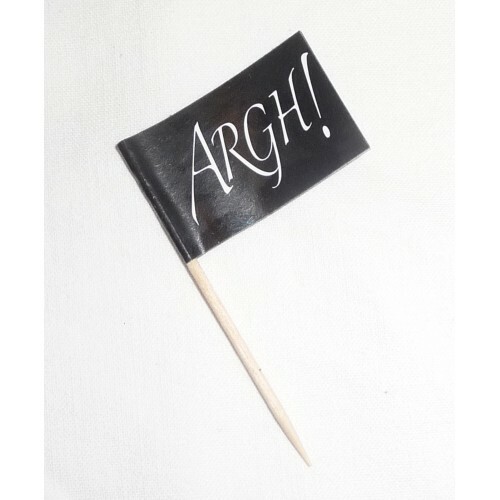 Dress up your food by using these Pirate flag picks for snacks or for a pirate themed party. Great as cupcake toppers. Fifty (50) flag picks per pack. This pirate bunting has 14 quality paper flags with alternating flags and is approx 3.3m long. Perfe.. This bunting measures approx 3.6m long. Featuring black background 21cm wide and 29cm high skull and.. If you want to create an under the sea, pirate, nautical or hawaiian themed party setting use fish n..
For your next pirate themed party try baking and decorating some delicious biscuits using this cooki..